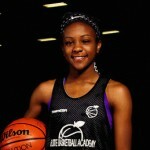 Class of 2017 guard Ashtyn Baker of Southaven, Miss. showed she can control the tempo at #EBASuper64 Camp. 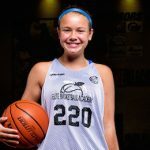 Class of 2017 guard Ashtyn Baker of Northpoint Christian School (Southaven, Miss. 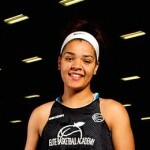 ), earned an invite to the #EBAAllAmerican Camp in September 2015. 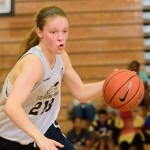 The highly effective PG dictates the tempo of the game with her energy on both ends of the floor & showed her ability to lead a team at #EBASuper64 in June. Congratulations to Ashtyn Baker on signing to Liberty University. 17' Liberty commit Ashtyn Baker's game always stands out on the court. We're growing the game daily as another #SMPMember commits. ’17 G Ashtyn Baker (MS) visited Liberty last week. Has an LU offer. ’17 Ashtyn Baker had a GREAT year. 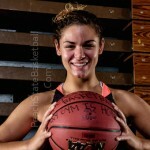 A Tennessee Miss Basketball finalist. Ashtyn Baker went OFF in the state title game. MVP & a Northpoint title.